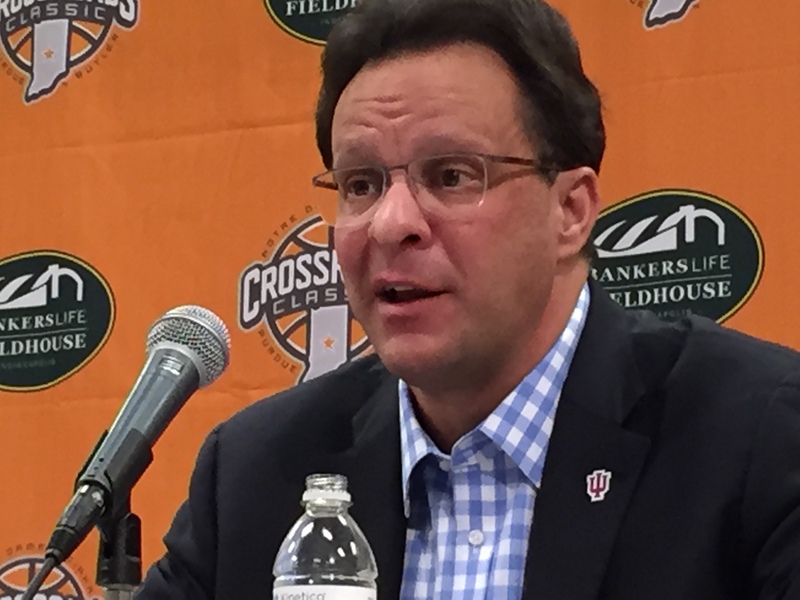 Tom Crean may not be THE guy, but even his harshest critics have to admit he has done a good job this season. Last night, Purdue and Nebraska lost to teams they were supposed to beat in Gardner-Webb and Hawaii. Indiana beat a team it was supposed to by 20 points – the inept Privateers of New Orleans. Actually, I haven’t seen New Orleans play, so calling them inept is uninformed commentary. Hard to blame me when New Orleans has played teams like Pensacola Christian College and Crowley’s Ridge (which I would have to guess is a place some guy named Crowley once lived). As much basketball as I have watched, I have never heard of those schools, so I’m willing to guess they are a bad basketball team. The point is that Indiana has done what it is supposed to do while much of the rest of the Big Ten has foundered, and because of that the questions about Tom Crean’s future are being answered with less dire predictions of imminent doom. Through yesterday, Big Ten programs have played 18 games against ranked opponents and won only four. Indiana is the only team with multiple wins against ranked teams. Granted, those opponents were ranked #22 and #23 at the time the Hoosiers played them, but they were ranked. Yep, the Big Ten is 4-14 against ranked teams, but the most damning aspect of the Big Ten’s non-conference record are the losses like those Purdue and Nebraska suffered last night to teams from lesser conferences. Purdue was bettered by North Florida, Nebraska lost to Incarnate Word, Michigan lost to the New Jersey Institute of Technology and Eastern Michigan, and Michigan State took an OT loss against perpetual road victim Texas Southern. Seems like a night rarely goes by where a Big Ten team isn’t humbled by an opponent that shows up only for a paycheck. Indiana lost to Eastern Washington, but among all the bizarre losses for the basketball conference formerly known as America’s best, this was among the least surprising. Eastern Washington is no joke this year. The ACC has four teams in the top 13. The formerly humble SEC has four in the top 25. The Pac-12 has three in the top 25. The Big East? Four in the top 26. Indiana fans are not thrilled with the Hoosiers under Tom Crean, but given the schedules who among the Big Ten coaches would you say has done a better job? Even Wisconsin with St. Bo has played a soft schedule. They lost to Duke (RPI #5) and have Green Bay (RPI # 28), Boise State (RPI #46) and Oklahoma (RPI #32) as their best wins. Crean has a team with limited size and no seniors playing good basketball. There are defensive lapses, but if the Hoosiers beat Georgetown on Saturday they will move on to conference play with an 11-2 record. Not many other than Dan Dakich saw that coming. I was among those who believed that Purdue had taken a quantum leap into renewed relevance with wins over Mizzou, NC State, and BYU. Matt Painter, vigorous rejuvenator of the Boilermakers? Not so much at 8-5. Crean is never going to silence critics who feel he is a bad fit as coach of the Hoosiers, but it’s disingenuous to look at this team and not say that he’s done a very nice job of preparing them for a season that many felt could be a train wreck. Whispers about Brad Stevens coming to Indiana will continue because there is no way to silence them, but accompanying those whispers should be an admission that Crean is not some nut who fell off a Lawrence County stack of hay into that job. He is a good coach. Is he THE coach to lead Indiana back to national prominence? Valid question. But whether or not he can coach at a level with Richard Pitino, Tim Miles, and Matt Painter is beyond dispute. This entry was posted in College Basketball, Featured Story, Indiana Basketball, Indiana University, Kent Sterling and tagged Brad Stevens Indiana, Indiana Basketball, Tom Crean fire on December 23, 2014 by Kent Sterling. I thought Crean was the answer when he built IU up to contention when he beat UK and had them ranked #1 the following year. Then I thought that he wasn’t the answer because of the mediocre play since then and also the players’ off court issues (plus the offering of scholarships that numbered more than the vacancies). This year, I started drifting back on the bandwagon because it seems that the team is over-achieving based on expectations. However, now it dawns on me that Crean seems to be able to take a lesser team and bring it back to contention which he seems to be doing AGAIN. All this means to me is that he perhaps earned his way back to the point where we will see if he can go to the next level (perhaps he learned something). Of course, the season is still young.